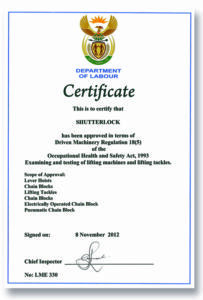 Shutterlock offers a complete range of chain slings and components that are suitable for all your requirements. 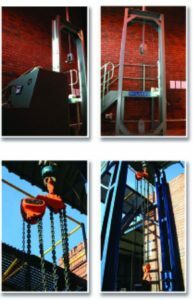 For more information on our range of chain sling, contact us today. 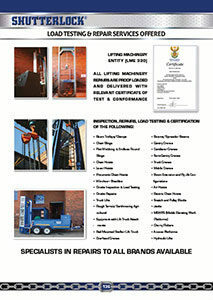 Included in our range of products is repair lifting equipment. Shutterlock supplies and assembles repair lifting equipment giving you peace of mind for the operational side of the business.